Before we look into the best methods to build authority and rank your website, it is perhaps more important to actually understand what an authority site is, and why it is important to have authority. It is one of those terms that gets thrown about so much that some people find they no longer dare ask what it actually means, because they worry it will make them look as if they aren’t with the times. However, it is important to never feel as if you can’t ask a question. Hence, we will first look at what an authority site is, before moving on to how to build one. If you already know what an authority site is, you can just move on to the next part. What Is A Authority Site? An authority site is a website of very high quality. People within the niche that website covers respect it and speak positively about it. The content on an authority site is up to date and accurate. So much so, in fact, that other people will take snippets of that content and put it on their own website (this is known as curated content). More often than not, an authority site also has a very high page rank. 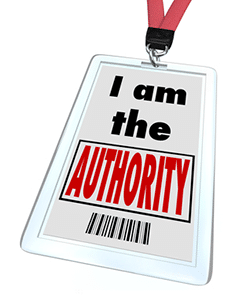 Defining exactly what an authority site is, however, can be quite difficult. This is because the search engines have a set of rules and algorithms, but people’s opinions matter too, and these opinions cannot be quantified in an algorithm as such. However, if you want your site to have authority, you have to make sure you satisfy both the search engines and your actual audience. The importance of doing this right cannot be ignored. Naturally, as a website owner, you want to make sure that people come to your site. This often costs quite a bit of money, because you have to advertise in various places. However, as you build your authority, you will start to notice that you have to advertise less and less, thereby potentially saving significant amounts of money. At the same time, however, your website should make it very clear that the information provided is actually for the benefit of your customer, and not solely for the benefit of the search engines. Building an authority site is not easy and it will take a great amount of time and effort (and money). There are people who are able to help you with this, but the reality is that you will simply need to be patient. Let’s take a look at some of the things you can do in order to start building that authority we all so badly want. You have to make sure that the relationships between your pages (your own and external pages as well) are very strong and embedded. These are known as deep links. Each page of your site needs to become an authority page, with each of them being optimized for specific and relevant keywords. You can achieve this by clustering on topics, linking to specific pages multiple times, use external links to real hero pages, making sure you don’t cannibalize your keywords, fixing broken pages and making sure your links are placed at the top of your page. Internal Anchor Text – since you’re pointing to so many different pages with the same subject, you can’t concentrate the value of internal anchor text on one target. External Links – If 4 sites link to one page on “snowboards,” 3 sites link to another of your “snowboard” pages and 6 sites link to yet another “snowboard” page, you’ve split up your external link value among three pages, rather than consolidating it into one. For more of this subject I suggest you visit Rand’s article at Moz.com. Link diversity is a reasonably new concept within SEO. It is part of the off-site SEO and this is incredibly important within page authority. Link diversity is about making sure that the links on your website come from a diverse background, but that they are all relevant. You have to make sure that your backlinks don’t come from the same sites again and again, in other words. Hence, you can use article directories, other people’s blogs, and more. Generally, you should be allowed three backlinks per post, which should go to a post on your site, to your homepage and to a specific category within your site. Social media is unbelievably important nowadays. People turn to social media for information and news, having greater faith in Facebook and Twitter updates than in the news. You have to make sure, therefore, that your social media profiles (Google+, Facebook and Twitter mainly) are always up to date. Check your notifications and respond in a timely manner. Answer questions on Twitter by using search filters. It is important to show people that you care and that you are interested in what they have to say, as this will make them visit your site more, thereby building your authority. Google is using social media presence more and more to build their page rankings as well. Every single page you have on your website should be a work in process. The information presented on it must be up to date. There are exceptions – blogs for instance do not have to be changed and updated, although you can edit them to add more information later. You have to go back to each of your pages, mainly your home page and category pages, and ensure the information there is still relevant. Check your links and make sure they still work and still go to sites that have authority. Never consider your page as complete, there is always something that can be changed and improved upon and by doing this your authority will grow as well. The internet is quite a sociable place, even if you don’t think about social media. In order to build your authority, you should start to build relationships with other bloggers and website owners. It is a case of scratching each other’s back, because as your authority grows, theirs will as well, so long as you link to each other. However, you have to make sure that you don’t focus on just a single blogger. As stated earlier, it is about being diverse as well. Hence, you have to build not just a friendship, but an entire circle of friends.